If the brother is away from the home or if the daughter is married and living in their own home then, sisters request their brothers to come to their home for celebrating this festival with their beloved dishes. Sisters, on this day, pray to God to give blessings to their brothers to be protected from all the problems and bad fortune. All the difficulties will be washed and the way of the walking path will full of happiness and respect. The brothers got the stars from the sky by wishing the best by their sisters. However, brothers follow their responsibilities towards their loving and caring sisters, brought the new saree and even the eating dishes with the new item including the love of mothers. Sisters make a seat for their brothers by the flour of rice sit on this and receive a ceremony and makes this festival rewindable. They worship the hands of brother by applying the paste of rice and Sindoor on their forehead. Then, sister offers flower of Kaddu, betel leaves, betel nut and coins in the palms of their brother. Sisters chant mantras by pouring water on the palm. The application of Kalawa in the hand, Tilak, and Aarti are performed. Sisters lit a lamp facing the south direction. It is considered that it is very lucky to see the flying kite in the sky to get fulfilled the wishes requested by the God for the longevity of the brother. This festival also joins the past memory of brother and sister. In the small or in the child age , there is great love between the brother and sister. If the brother is hurt by anything or by anyone, then the sister also fights with them and care the hurts of the brother. Similarly, the sister is also so much cared by the brother in the child age when someone teases his sister. When someone abuses his sister then, the brother fights with them. This also reminds the past love of brother and sister. If there is absent of love, the brother and sister started to curse each other. But these types of activities are shown least. The love of brother and sister is bound also by the festival of Raksha Bandhan. At some place in India such as the Haryana, Maharashtra where the festival is normal to celebrate, the sister without brother (who has no brother), celebrate the particular occasion by worshipping the Hindu God Moon instead of brother. Sisters apply mehndi on their hands at this day as their custom and tradition. Sisters who are far away from their brothers, make pray to the God moon, take aarti for the happiness and prosperity in the life of their brothers. Whereas, brothers send return gifts and lots of love to their sisters through the email, post or by other means. This is the main reason why all children make a call to the moon by the name of Chandamama. The moon also increases their lights on the flow of earth. Things to do are primely managed by the brother and sister from their sides. The great respect is done in the sister home.and the festival and the norms start to works. love is full in the home of sister’s heart and in the home after getting the brother from a long time. 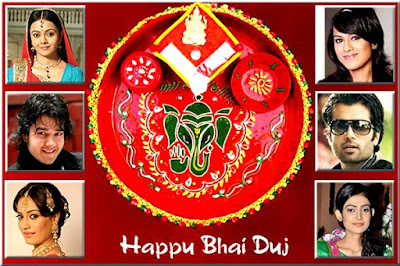 Bhaiya Dooj is a most prominent and legendary festival of India when sisters make a pray to God for their dearest brothers to get along living and prosperous life. Sisters perform puja and tika ceremony as well as gets return gifts from brothers. It is also called in India at various places as Bhau Beej (in the Goa, Maharashtra, and Karnataka), Bhai Tika (in Nepal), Bhathru Dwithiya, Bhau-beej, Bhai Phota (in Bengal), and Ningol Chakuba (in Manipur). It is the most celebrated festival in India which is enjoyed two days after the main Diwali festival. But this year Bhai Dooj 2016 would be celebrated in India on 1st of November, on Tuesday. According to the Gregorian calendar, it falls on the 2nd day of Shukla Paksha in the month of Kartika (between October and November). All the sisters awaken very early in the morning, worship and pray to God and Goddesses for the better future and health of their brothers. After puja ritual celebration takes place including tika ceremony by putting vermillion, dahi, and rice on their forehead. After this ceremony, they do aarti and offer sweet and a glass of water to eat and drink. Finally, they exchange gifts and take blessing by touching the feet of elders pointing tika and mala to each other. It is also celebrated outside the country all over the world and in different religions with different names in different month and times. It is just like the Raksha Bandhan festival to increase the bond of love among brothers and sisters. At this auspicious day, sisters make prayer to God for the well-being and welfare of their special brothers while brothers offer gifts according to their strength in order to show their love and care for their loving sisters. There are the variety of stories and legends which are related to the origin and celebration of this special occasion that has discussed above. The coordination of brother and sister can’t be differentiated by the world. The will be helped by their owners only. Hoping the world will paste the cuteness in the wound will be a wrong and bad distraction for yourself. Men in the present forget you in second if you do do his ordering tasks. They only want to use and take more and more works from you. Income should be more than investment, that the people think. So, this time, you get a lot of chance to share your feeling care your sister as much you can. The salary can be expended on the gift of presenting for the sister on the auspicious day of Bhai dhuj. The long time of no seeing also creates the wish to visits and see the face of the sister if your sister is your best. No one will say something if the mistakes were taken and done by you, this festival cleanses all the sins of brother that have done in their life. The sister all fuels the brothers pocket with full of wishes. As Diwali is the main festival of Hindu, same as it also like the festival for brothers and sisters. It is also celebrated with the wish and also compulsory due to cultural and tradition. On the last day of Diwali people have to share their love with brothers and sisters. It’s also necessary to make and exist the better relationship between brother and sister. if the man exists , cultural also have to exist. The runner of culture is the man who follows the given tasks by the god. Man is bound by the rope of culture and tradition. If the person is kept free without the constitution, then the man will behave like the animal, losing they’re the sense of humor. so there is formed the cultural and tradition constitution that makes man the pure. And this also the needs of man for entertaining and the way of joining the soul with god..man wants to see the god but the god is invisible and present everywhere. The pure heart and the true devotee can only see the god. Due to the boundary of cultural norms and regulation, we have to take part in celebrating the festival, i.e. bhai dhuj or Bhai Tika. The family is the branches of management of the home. The family is the lights of the home. And the family and the home have peace if there are good relations among all the members. If anyone of the family members is not happier then there starts noise and fight. It is said that the goddess of wealth goddess Lakshmi will not sit in the quarreling home. She seeks peace and loveable home. It also determines the great sense to the family for making quiet. And this festival creates the programs and bridges of combination and continuing the love and peace in the family due to taking part by all the members. The past memory can’t be forgotten even by wanting due to spending a long time togetherly. All the past events will take a place in the mind, that show our past relations and love among each other. So it is also the new bridges to continuing the love and relationship of brother and sister after getting married. 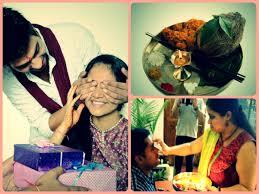 Bhai Dooj is an important occasion which is celebrated across the whole India with great enthusiasm and spirit. The ceremony starts with the task of inviting brothers for a sumptuous meal of their favourite dishes or sweets. The entire occasion signifies a brother's vow to protect his sister whereas a sister prays to God and give her blessings for the welfare of her brother. To celebrate the occasion in a traditional style, sisters make a seat for their brothers by the flour of rice in order to complete the ceremony. A paste of Vermillion, dahi and rice is applied as a religious tika on the forehead of the brother. After this, the sister offers flower of Kaddu, betel leaves, betel nuts and coins in the palms of her brother and slowly chant the mantras by pouring water on the palm. The mantras or the prayer done to the Yama, the Death God says, "O Yamaraj, I am making this offering unto You." After this, a Kalawa is tied onto the hand and the aarti is performed by the sister subsequently. A lamp facing the south direction is lit and it is considered a good omen to see a flying kite in the sky in order to get your wishes fulfilled. Brothers are also offered their favourite sweets along with the water to enjoy the delicacies. 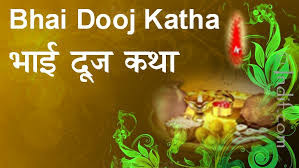 There is also the exchange of Bhai Dooj gifts among brother and sister on the occasion and blessings are taken from the elders. Every big and small celebration is incomplete without the presence of exciting gift items. As the occasion is a symbol of the strong sibling relationship, brothers and sisters need to look out for exceptional Bhai Dooj gifts from offline or online gifting store. While brothers can shop for special gift hampers, a box of chocolates, soft toys, personalised gifts and other items for their beloved sister on this auspicious occasion. Similarly, sisters can look for Bhai Dooj Pooja Thali, traditional sweets, exotic chocolate pack, personalised mug, cushion, photo frame, table lamp and other gifts to strengthen their sibling bonding to a great extent. This offering of gifts and return gifts by both brother and sister to each other has become an important part of the present day celebration of this special occasion among people. Below are the certain variations of the celebrations regarding the festival across India and outside. Bihar- The celebration of the festival in Bihar is quite different and a little absurd. Here, sisters hurl choicest curses and abuses for their brothers and then prick their own tongue as a punishment along with asking forgiveness from them. Brothers in return bless their sisters and pray for their well-being. West Bengal- The occasion is known as Bhai Phonta and falls on the first or second day of the Kali Puja festival. It includes a number of rituals along with a grand feast organised for the brothers. The festival involves both the brothers and sisters to be above 5 years of age. Sisters observe fast in the morning till the traditional ceremonies are completed. A tilak made of ghee, sandalwood (Chandan) and kohl (kajal) is applied on the brother's forehead to ask for his longevity from God. Among the traditional sweets, Kheer and coconut laddoos are some of the popular dishes for the occasion. Maharashtra, Gujarat, Haryana and Goa- The Marathi speaking people of Maharashtra and Goa celebrate this sibling festival as Bhav Bij. Sisters draw a square on the floor where the brothers are made to sit after consuming a bitter fruit known as Karith. The festival is a great time for the family reunion, get together and to strengthen the brother-sisterly relationship. 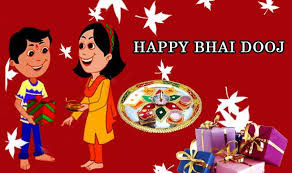 The occasion is also celebrated as Bhai Bij or Bhau Bij in Maharashtra, Haryana, Gujarat, and Karnataka.In Gujarat, it is celebrated in the form of Bhai Beej with the application of traditional tilak and performing the special aarti or prayers. For states like Maharashtra and Haryana where the festival is normally celebrated with great fervour and spirit. Sisters who do not have a brother, offer their worship to the moon God instead. Girls also apply Mehendi on their hands as a special tradition. Bhai Bij gifts are also exchanged among brothers and sisters as a token of love and affection and are considered as part of the celebration. Basundi Poori or Kheerni Poori and Shrikhand Poori are some of the popular dishes of the festival. Bhai Tika in Nepal- The occasion is celebrated in Nepal and is one of the most important festivals after Dashain (Vijaya Dashami/Dussehra). It is also known as Bhaitihar which means tihar of brothers. The festival is celebrated on the third day of the Tyohar festival. The occasion is celebrated with the special prayer to Yamraj by sisters for the well-being and longevity of their brothers. A seven coloured long Tika is also applied on the forehead of brothers by sisters. 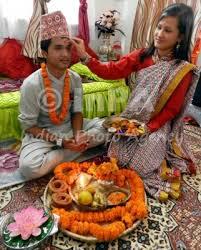 The occasion is also widely celebrated by the communities of Newari, Maithali, Tharu, Bahun and Chhetri in Nepal.